A rainy Easter. THis year we got together with some friends and had dinner. 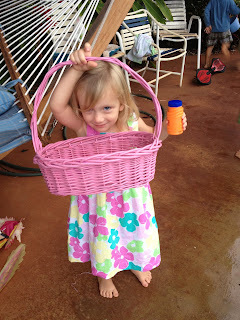 The egg hunt was on the patio due to the rain but the kids didn't mind one bit. trying to get these three to look at me was near impossible. You can see the raim in the background. Rusty and the kids made this cute easter basket for me. 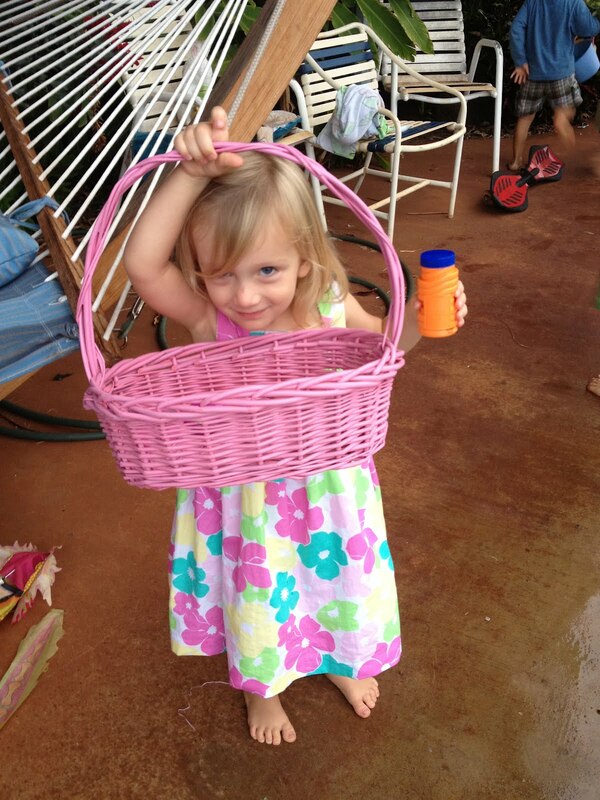 Grandma Wilcox sent Hanalei this cute easter dress and waimea this tie. 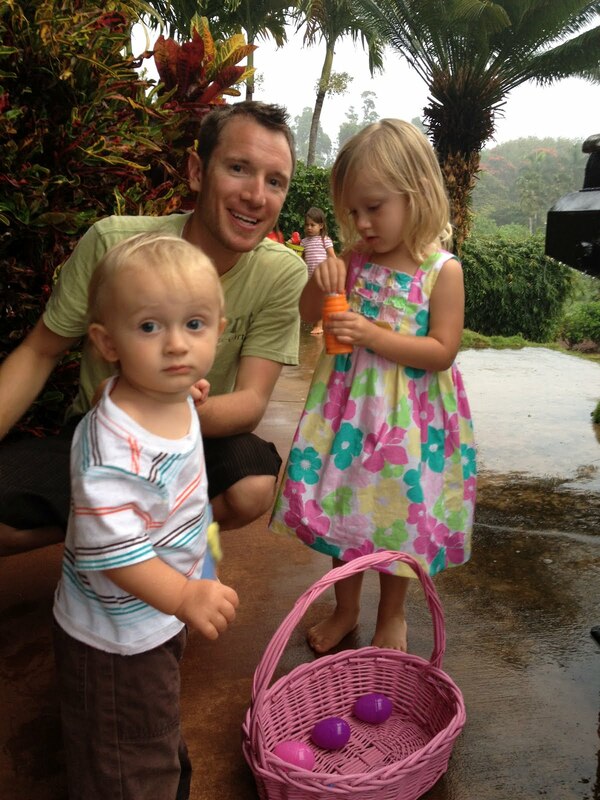 This was after their nap, hanalei looks a little groggy.